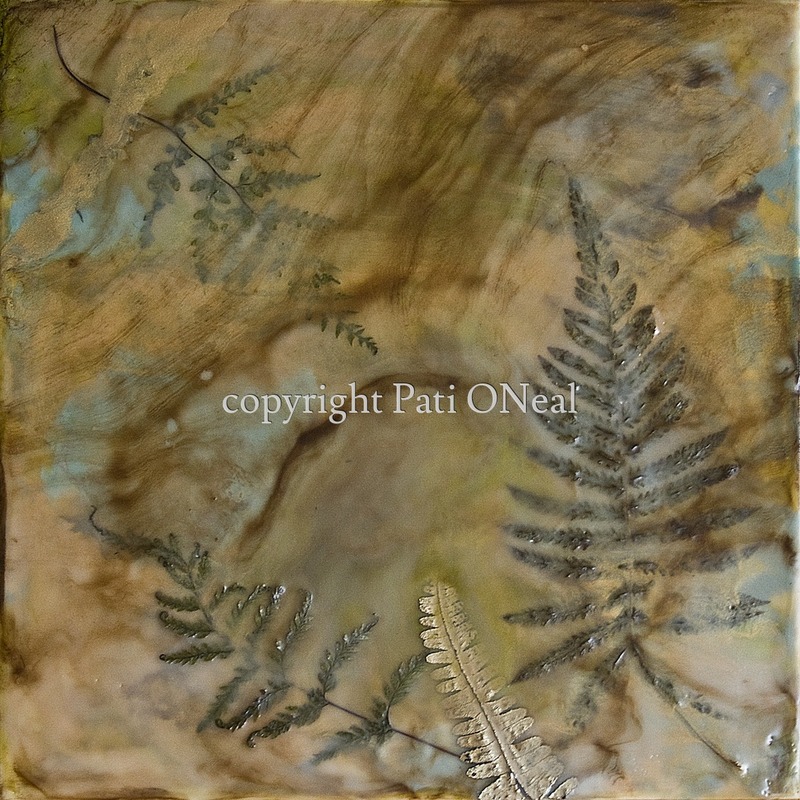 Encaustic with dried ferns on cradled panel. Original is sold. Contact the artist for a similar commission.